Raquel Weiser working Santa Monica Farmer’s Market. 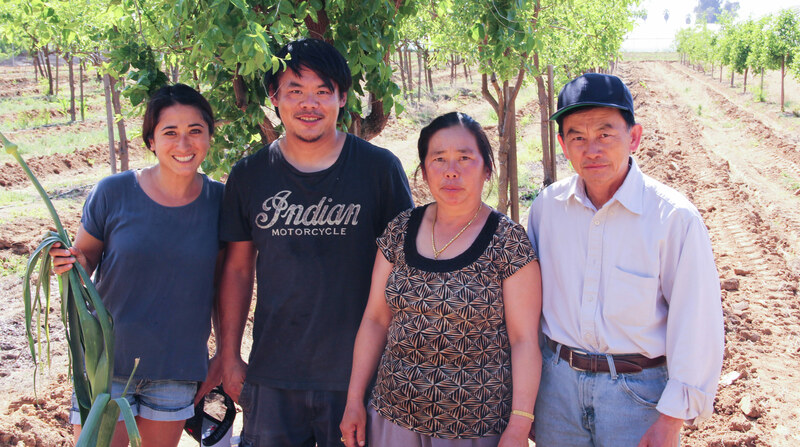 GrubMarket VP of Operations, Chako with Kong Thao, Mom Khoua and Father Vang. 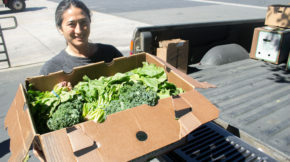 Mother of ten, Khoua Thao, is the brain and life force behind many of your favorite Asian veggies. 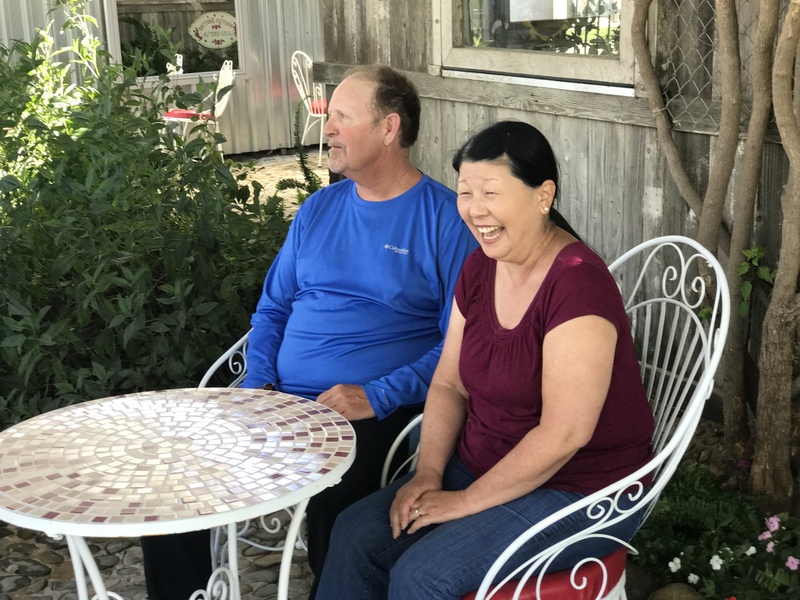 After leaving a war-torn Southeast Asia and bringing her children to Fresno, she (along with husband Vang) began the farm that her son Kong now runs. Kong now has a daughter of his own with his wife, another superstar Mom, Pang Vang. Kong keeps hoping Mom and Dad will retire and take it easy, but he admits, they can’t stop! 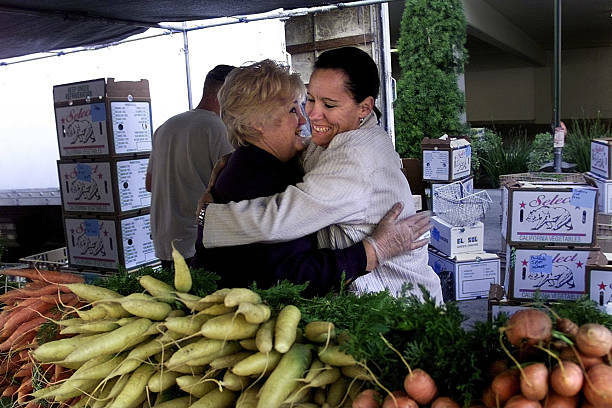 (Left) Maryann Carpenter hugging The Getty’s Chef, Terri Buzzard. A long time FarmBox and GrubMarket friend, Maryann Carpenter and her son Mark run Coastal Farms, famous for the most beloved tomatoes in Southern California. 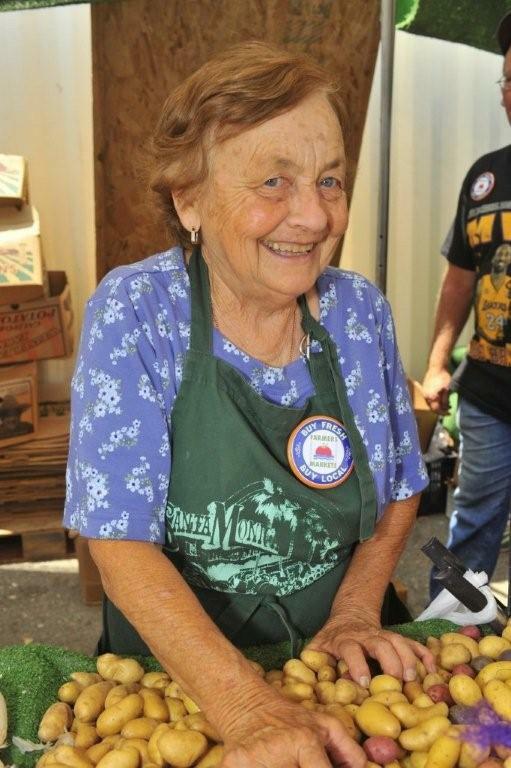 Maryann is an inspiration and a legend in Los Angeles, working for nearly 40 years in the food world. Farming is hard work. 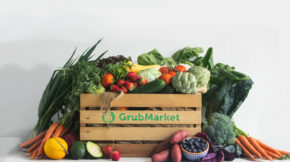 “Anyone can go to the grocery store… but when you buy from us, you’re supporting a family.” We agree! We love and are always happy to support, the Carpenter family. The mother-daughter team Julie and Margaret have made a business from their fourth-generation family heritage. Margaret’s grandmother made jam, as did her mother before her, and so the art of preserves has been… preserved! Margaret has shared her mother Julie’s love of cooking, baking, and jammin’ since she was a little girl, but it took a push from friends and family to take their sweet hobby into the business world. Even now with their success, they like to keep things very small. 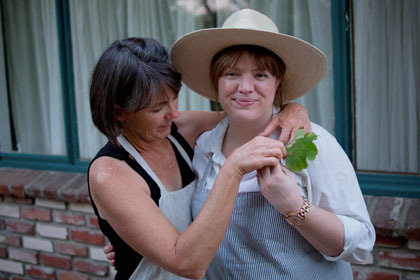 Mother Julie has taken over as head chef, while Margaret deals with the distribution, sales, and marketing.